The Mexican Suitcase is a ninety-minute feature documentary that tells the extraordinary story of the recovery of 4,500 negatives taken by photographers Robert Capa, Gerda Taro and David Seymour during the Spanish Civil War, with an extraordinary score by composer, Michael Nyman. 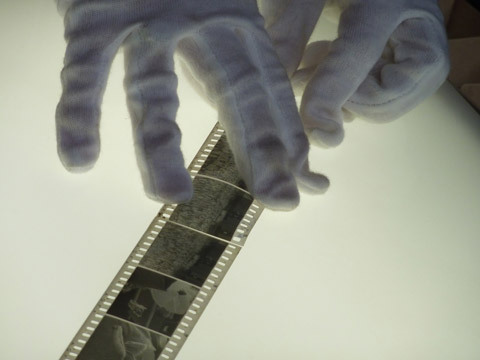 The film reveals the story of the journey of these lost negatives from France to Mexico. Trisha Ziff is a curator of contemporary photography, filmmaker, and Guggenheim scholar. Director of Chevolution, Ziff produced the documentary Oaxacalifornia, co-produced My Mexican Shiva, and was the executive producer of 9months 9days. She has also worked in the north of Ireland, where she founded Camerawork Derry, a photography and film workshop in the 1980s. She is currently in development on her next project Pirate Copy, a documentary about intellectual rights and global pirating. As an author and curator, Trisha Ziff’s work on the image of Che Guevara, Che: Revolution and Commerce has been published in Spanish, Turkish, and English. The exhibition traveled in the US, Mexico, Spain, Holland, and the UK. Other major international exhibitions include: Mary Kelly’s Ballad of Kastriot Rexhepi, Hidden Truths Bloody Sunday and Distant Relations, a dialogue between Irish, Mexican, and Chicano artists. Her most recent exhibition opened in June at the Recontres d’Arles and will tour internationally. A book based on the show will be published by Aperture Books.